There’s still time to sign up for the inaugural New England CMP Games, held September 14-18, 2016, in Jericho, Vermont. 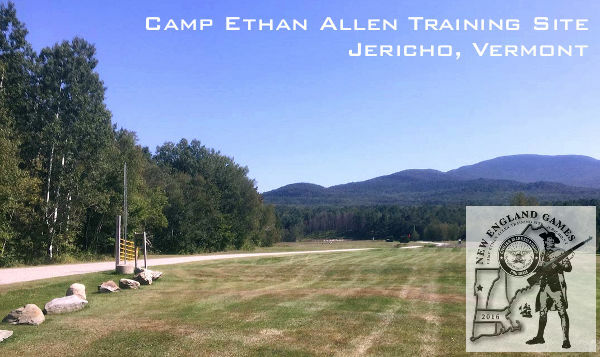 Similar to the Eastern, Western, and Oklahoma CMP Travel Games, the New England Games will take place at Camp Ethan Allen Training Site and is hosted by the Vermont State Rifle and Pistol Association, along with the Burlington Rifle and Pistol Club. CMP Sales will be held at the Games, and on-site barracks accommodation is available. 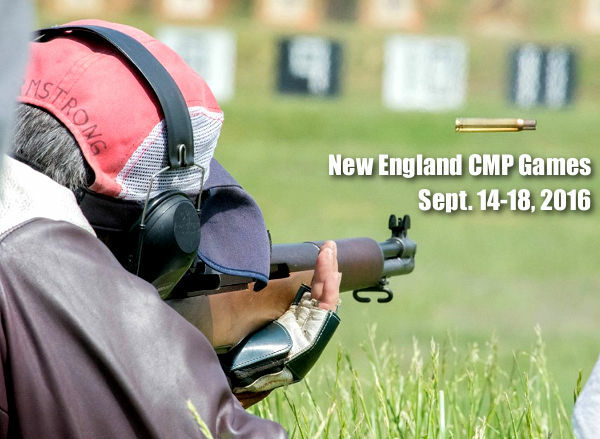 The 2016 CMP New England Games will begin with Small Arms Firing School (SAFS) and the M16 Match. The event will feature Garand/Springfield/Vintage Military matches and the Modern Military match. Other matches include an EIC Rifle Match, Carbine Match, a Rimfire Sporter Match and the popular Vintage Sniper Match. There will be five pistol matches: CMP .22 Rimfire EIC Pistol Match, EIC Service Pistol Match, Pistol Team Match, Military & Police Pistol Match and CMP As-Issued 1911 Pistol Match. The New England Games will feature CMP’s signature M1 Garand Match. Along with the SAFS, a GSM New Shooter Clinic and Garand Maintenance Clinic will also be offered. SAFS training by qualified instructors is geared toward new shooters, so no previous firearm experience is required. The CMP Sales Trailer will be on-site offering registered competitors a first chance at the CMP goodies on September 14th during the Competitor-Only Sales Event. The CMP will also offer rifle and ammo sales September 15-17 starting at noon each day. Housing will be available on post in the form of transient quarters with a shared bath as well as barracks with large open bays and smaller bays for small groups or families. To register, visit the New England Games Page on the CMP website. For more info, call Christina Roguski at 419-635-2141 ext. 714, or email competitions@thecmp.org. Share the post "Inaugural New England CMP Games, September 14-18"